Get a Napa County Traffic Ticket? You Can Beat It! Did You Get a Ticket in Napa County, California? You can fight Napa traffic tickets by getting them dismissed much easier than you may think. In Napa, California, drivers are allowed to contest a traffic ticket using a Trial by Written Declaration. This is best way to fight a traffic ticket without going to an Napa courthouse or hiring an expensive Napa traffic ticket lawyer. We have found this to be the best way to contest a California traffic ticket, period. This option is available to every driver who receives a traffic ticket in Napa, California. In fact, if you turn over your traffic ticket you will see that a Trial by Written Declaration is listed right on the back of your ticket as one way to fight it. This process has been around since 1978 to avoid having to pay traffic ticket fines. TicketBust has been helping California drivers prepare Trial by Written Declaration’s for over 14 years. In fact, tens of thousands of vehicle tickets in California have been contested using our system. We are the original traffic ticket fighter and the TicketBust system has been developed specifically to prepare all your documents properly based on how you answer a few questions. This way you can fight your ticket, knowing you have maximized your chances of having the court dismiss your Napa County traffic ticket. TicketBust service will prepare your full defense package for you, which includes your Trial by Written Declaration and all the defense documents required by Napa traffic court. Fill out the yellow form to fight your Napa traffic ticket now! Did you know that you aren’t allowed to pass the white limit line when you are stopped at an intersection? From our experience, this can be a common ticket issued in the county of Napa, so be on the lookout and stay behind that solid white line. If you find yourself having received a traffic ticket in Napa, give us a call or fill out our form to see how we can help! Prior to settlements by the first Europeans in 1823, the valley was previously inhabited by Patwin Native Americans and the site of a fort erected by the Spanish Governor in 1776. When the first settlers arrived, six tribes lived around the valley and were often at war with each other; the Mayacomos, Callajomans, Kymus, Napa, Ulcus, and Soscol tribes each occupied land in the area, yet most died during a smallpox epidemic in 1838. In 1836, George C. Yount obtained a land grant where he built what is believed to be the first log cabin in California, a sawmill and grain mill, and became the first person to plant a vineyard in what is now Napa County. The town Yountville was named in his honor after his death in 1865. 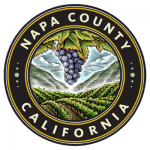 Napa County was formed in 1850 as California gained statehood. The county’s population began to grow as pioneers, propectors, and hopeful entrepreneurs made Napa County their new home. In 1858, the great silver rush began and while gold was found in other counties, Napa became a center for silver and quicksilver mining. Not long after, John Patchett opened the first commercial winery in the county in 1859. Today nearly 141,000 people call the 789 square mile area of Napa County home. Napa is located east of Sonoma County and north of San Francisco. Most notably, the county is known for its outstanding wine production. The Napa wineries favor the Cabernet Sauvignon varietals of wine and today, over 400 wineries are located within the county. For this reason, as many as 5 million people visit the area each year. When visitors are not sampling the wine, they can also visit Mount Saint Helena, Robert Louis Stevenson State Park, or the Missimer Wildflower Preserve in Snell Valley.